A woman was struck in the face by a man after she returned to her car to find him sitting in the driver’s seat. 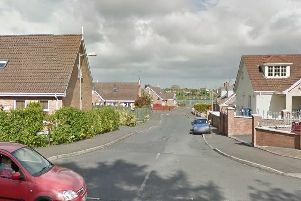 The assault took place on Monday afternoon, May 23, in Dungannon Street, Moy. The man in question is thought to be in his 30s. A spokesperson for the PSNI said, “At approximately 3pm, a 46-year-old woman parked her car. She left it and when she returned a short time later, there was a man sitting in the driver’s seat. “The man hit the woman in the face before making off on foot. “He is described as being aged in his 30s, about 5’7” , with short dark hair and stubble. Constable Colin Prime is urging anyone with any information about the incident to contact Dungannon Police Station on the non-emergency number 101, quoting reference number 745 of 23/05/16.